When Chinese immigrants arrived in 1877 to the newly established San Joaquin Valley town of Hanford, Calif., they found themselves in an unfamiliar place with no reminders of home, facing cultural barriers and often out-right racism. Despite segregation and oppression, the Chinese community in Hanford flourished and developed a vibrant Chinatown, known as China Alley, which soon boasted restaurants, herb stores, laundries, gambling houses, grocers and a Taoist temple—all constructed of local California redwood and brick fired on site. A short, densely lined street, China Alley was a vibrant hub where immigrants met to talk politics, share a meal, read Chinese newspapers and play mah-jong. Reaching its peak in the pre-World War II years, China Alley increasingly served a more diverse population, especially as racial barriers were challenged and eased. Through the ensuing years, the Chinese population in Hanford declined and today most of the historic buildings along China Alley, including the famed Imperial Dynasty restaurant and the L.T. Sue Herb Building, sit vacant, suffering from rain damage, vandalism and years of deterioration and disuse. Though China Alley is located in a local historic district, the City of Hanford has neither trained preservation staff, nor a historic preservation commission, leaving the buildings vulnerable to insensitive development or reuse. In addition, redevelopment funds from the City of Hanford’s Redevelopment Agency, which supports the revitalization of China Alley, may no longer be available due to state budget constraints. 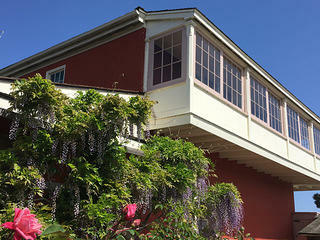 Although the Taoist Temple Preservation Society completed a stunning renovation of China Alley’s temple in the early 1970s and is currently restoring two other properties, the organization does not have the financial resources to acquire and rehabilitate all the buildings along China Alley. 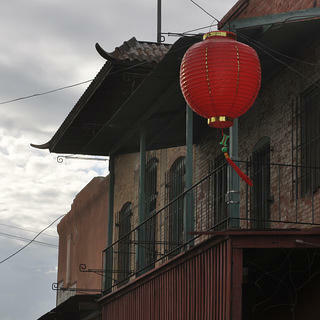 China Alley was included on the Trust's 11 Most Endangered Historic Places list for 2011.